Adventurous motorcycle trips without any risk do not exist. Even the most experienced and skillful motorcyclist falls sometimes, or just manages to prevent an accident. The causes are many and varied, and fortunately the damage is usually limited. Unfortunately, more serious accidents can also occur. We want to prevent this in as much as it is possible. How does Motor Trails promote the safety of its motorcycle trips? In the first place, we do everything we can to prevent accidents (1); further to this, by being prepared, we endeavor to limit the damage as far as possible in the event of accidents happening (2). - wear a protective helmet, preferably an integral helmet with visor. 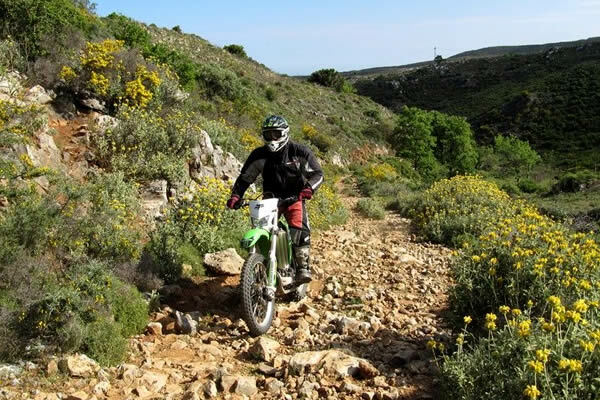 - off road routes are discussed the day before or before departure on the day itself and the difficulty of the route is outlined by the tour guide as clearly as possible. Based on this information, the participant can decide to ride the route or else to travel in the support vehicle during this route. - check the motorcycle: are lights, tyres, brakes, mirrors working well? - wait for each other at difficult obstacles, to help each other (and to take photographs of course). 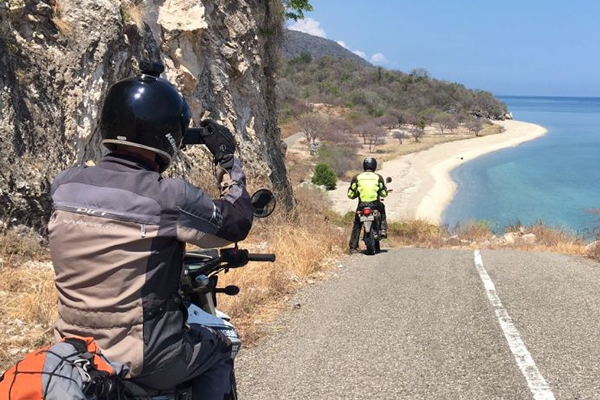 Experience shows that one’s riding skills can improve by leaps and bounds during the trip, in particular by sharing your experiences and giving each other advice/tips along the way and on arrival at the daily destination. - is familiar with the procedures to be followed by the emergency services;. - carries oxygen cartridges during trips at high altitude. All Motor Trails tour guides meet every year to discuss experiences concerning safety on the road. Based on this discussion, new guidelines are drawn up which can improve safety on the road and the provision of advance information.